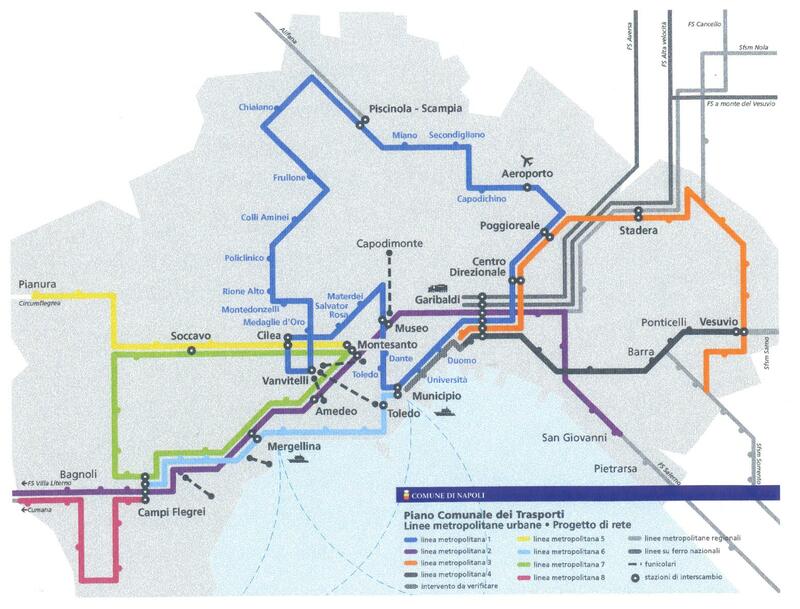 (Line colours not corresponding to the below map, rather to this one). Situation planned at end 2011. 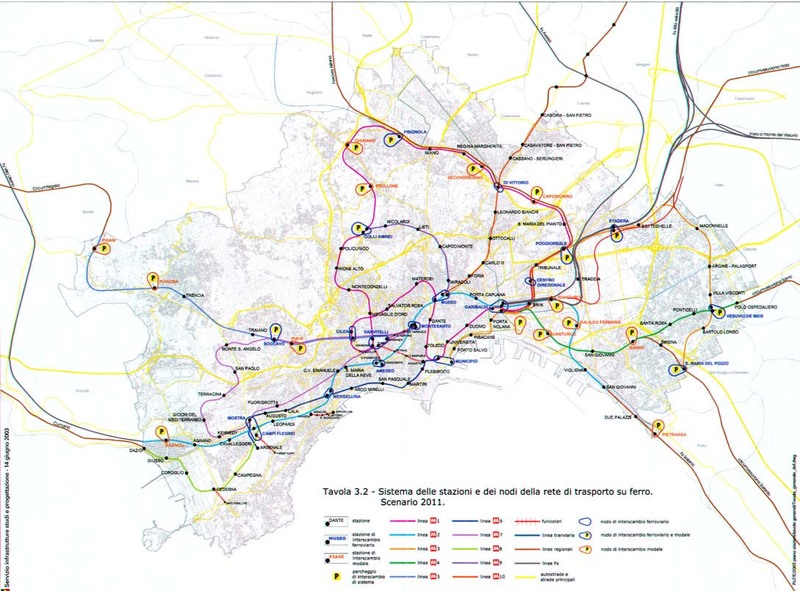 (Map rights owned by Comune di Napoli).